Why See KCRWs World Festival - Natalia Lafourcade and Gustavo Dudamel? 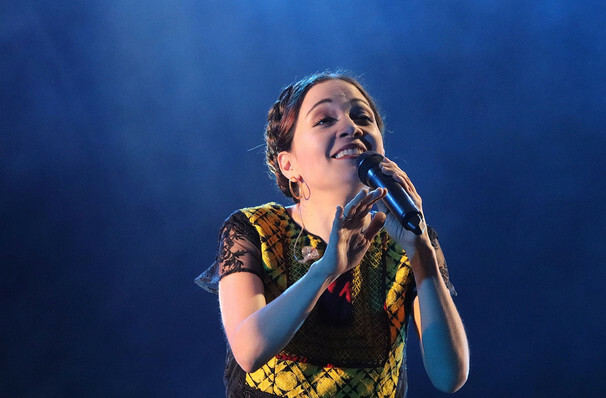 KCRW's sizzling summer festival programming continues with the meeting of three musical forces of nature - modern Mexican pop darling Natalia Lafourcade, iconic Venezuelan baton-twirling superstar Gustavo Dudamel and his current ensemble, the world renowned Los Angeles Philharmonic. Blossoming from a colorful childhood filled with painting, theater and music, the vibrant artistry of Natalia Lafourcade first found its feet in the rock world as part of the band Natalia y la Forquetina, before her experimentations with jazz and bossanova found its feet under her solo moniker. Positioning herself as one of Latin Music's most intriguing, erudite and charismatic indie pop stars whose made her mark on the mainstream by remaining refreshingly herself. A joyful performer, her partnership with Dudamel and the LA Phil is sure to result in aural fireworks. Sound good to you? 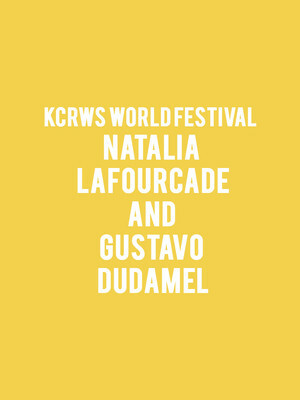 Share this page on social media and let your friends know about KCRWs World Festival - Natalia Lafourcade and Gustavo Dudamel at Hollywood Bowl. Please note: The term Hollywood Bowl and/or KCRWs World Festival - Natalia Lafourcade and Gustavo Dudamel as well as all associated graphics, logos, and/or other trademarks, tradenames or copyrights are the property of the Hollywood Bowl and/or KCRWs World Festival - Natalia Lafourcade and Gustavo Dudamel and are used herein for factual descriptive purposes only. We are in no way associated with or authorized by the Hollywood Bowl and/or KCRWs World Festival - Natalia Lafourcade and Gustavo Dudamel and neither that entity nor any of its affiliates have licensed or endorsed us to sell tickets, goods and or services in conjunction with their events.